There are a number of wedding ceremony rituals and traditions you can incorporate into your own wedding. Incorporating a symbolic ritual (or two) into your ceremony is a great way to personalize your wedding. 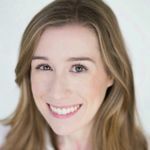 Even if you're familiar with some of the more common wedding ceremony rituals, such as lighting a unity candle or breaking a piece of glass, you might not know the history behind them. 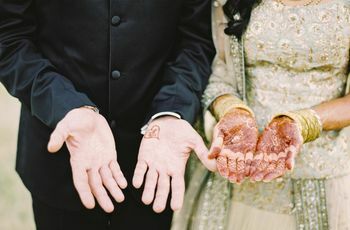 Here are some of the most popular wedding ceremony rituals and their meanings. This tradition dates back to the 1800s and is believed to have origins in western African weddings and Wiccan communities. 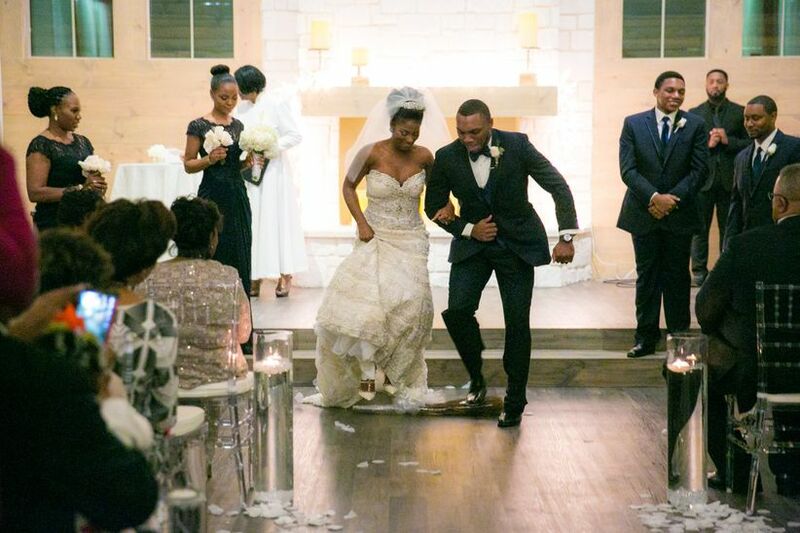 It became popular in the United States during the 1970s, after the publication of Alex Haley’s book “Roots.” Jumping the broom takes place at the very end of the wedding ceremony, after the officiant pronounces the couple as officially married. The newlyweds jump over a broomstick before the recessional to symbolize sweeping away their old lives and welcoming their new life together. 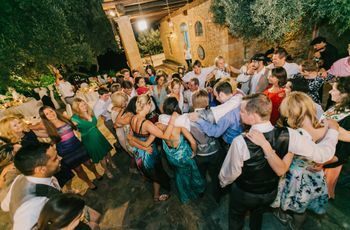 The wedding ceremony ritual of lighting a unity candle, which began about 30 or 40 years ago, represents the joining of two people and their families. Before the parents from both sides take their seats, they (traditionally the mothers) each light a taper candle and place it next to a pillar candle that remains unlit throughout the ceremony. 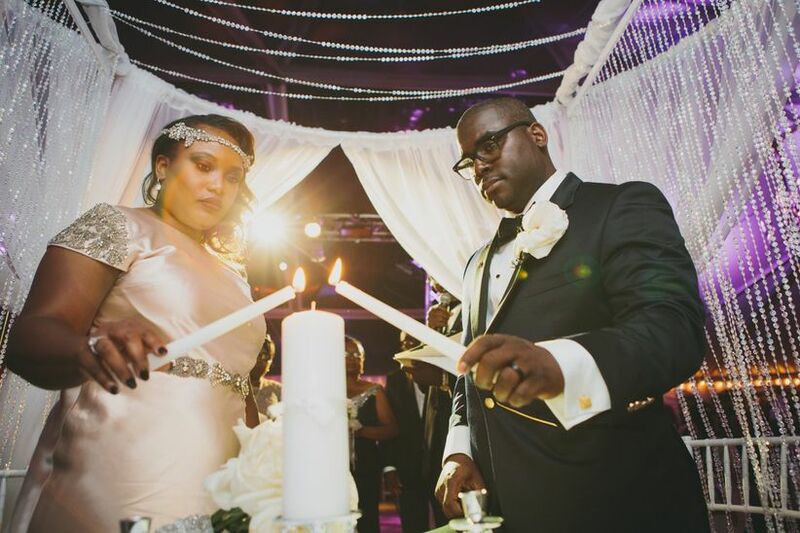 After the couple exchanges their vows, they light the pillar candle using the flames from the taper candles, signifying several generations of commitment. 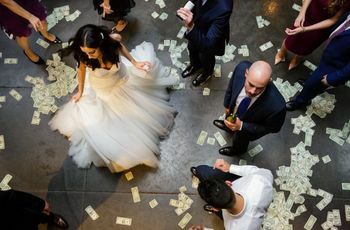 The exact origins of this ritual are fuzzy, but it was popularized in the early 2000s by The Bachelorette star Trista Sutter when she and her husband Ryan performed it during their televised nuptials. For this wedding ceremony ritual, the couple pours two separate vases of sand (usually in different colors) into the same vessel, creating a layered, one-of-a-kind pattern. From that point forward, it will be impossible to ever separate the colors, which symbolizes the blending of two people forever. Many couples personalize this ritual by choosing sand from meaningful locations. This is a newer wedding ceremony ritual, but we love the romantic notion behind it. 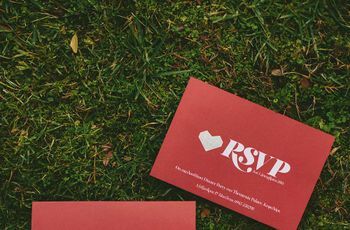 Before the wedding, you and your spouse write love letters to each other and then seal them inside a box during the ceremony. Traditionally, the letters are accompanied by a bottle of your favorite wine or champagne. You'll eventually open the box at a later date, such as an anniversary or milestone. Believed to be an Irish wedding ceremony tradition, the warming of the rings takes place when the couple’s wedding bands are passed around by guests during the ceremony. Each person is asked to briefly hold the rings in their hands while also saying a short, silent prayer for the couple (if desired). The rings are returned to the couple with blessings and positive vibes for a long, happy marriage. Wine has been a symbol of life and prosperity for centuries. 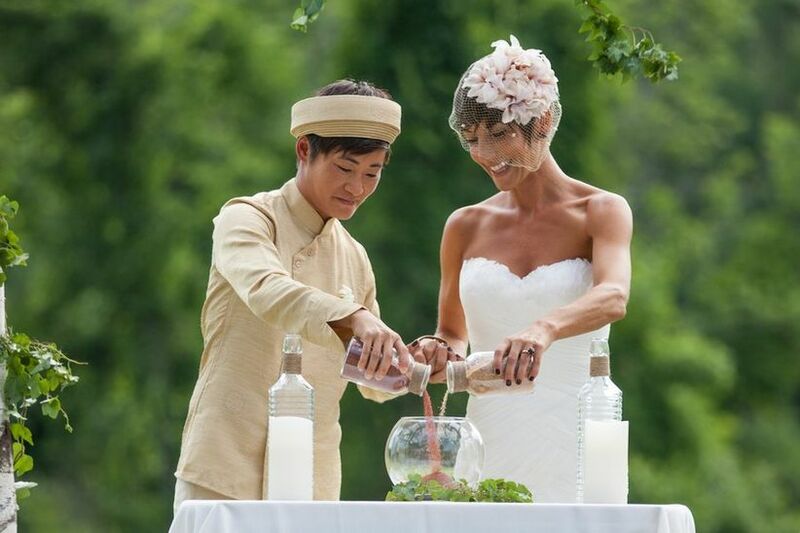 There are several variations of using wine during a wedding, especially at religious ceremonies, but a common option is to have two small carafes of wine, one white and one red. 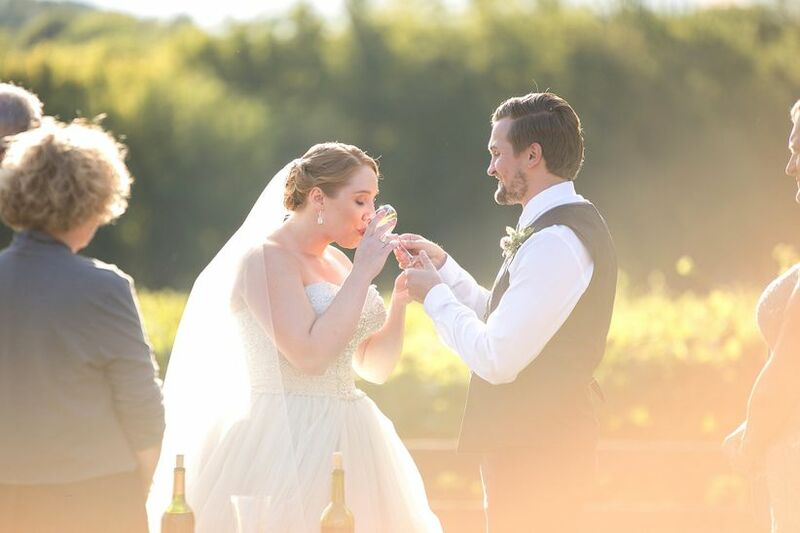 After exchanging rings, the couple pours the wines into a third carafe, creating a blend. They each take a sip of the mixed wine to represent their individual lives becoming one. This is a Celtic custom with medieval roots. 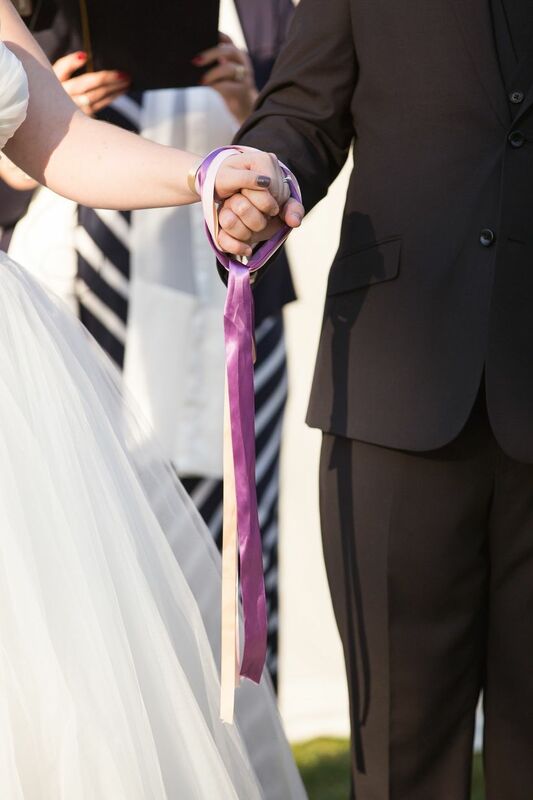 It involves binding the couple’s hands together with ribbons or cords to symbolize their union. In the middle ages, handfasting was used in place of a marriage license before weddings were recognized as legal responsibilities of the government and church. Each colored cord has its own meaning, such as white for purity or red for passion. Foot washing is a Christian ritual inspired by the Bible verses John 13: 1-17 in which Jesus washes his disciples’ feet. 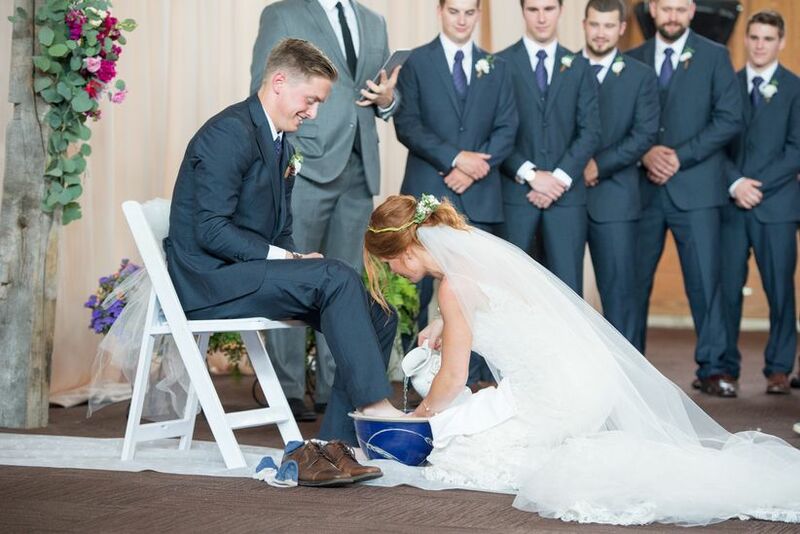 It is usually done to symbolize the couple's service, humility and commitment to each other. 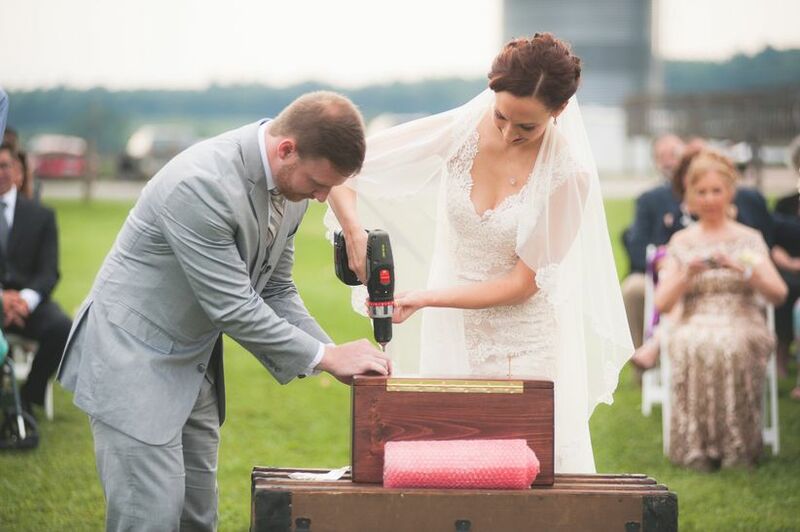 Burying the bourbon is a Southern tradition that’s said to prevent rain or bad weather on your wedding day. 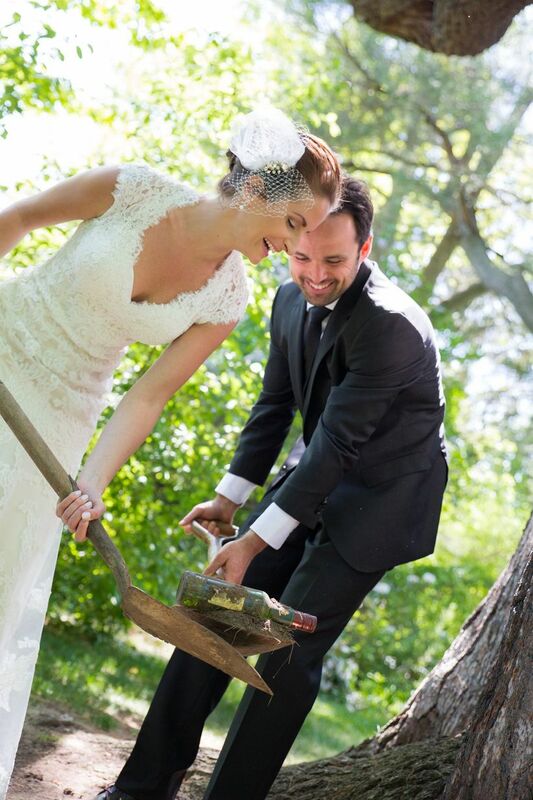 Exactly one month before your wedding, dig a hole at your ceremony site and bury an unopened bottle of bourbon (make sure that it’s upside-down). 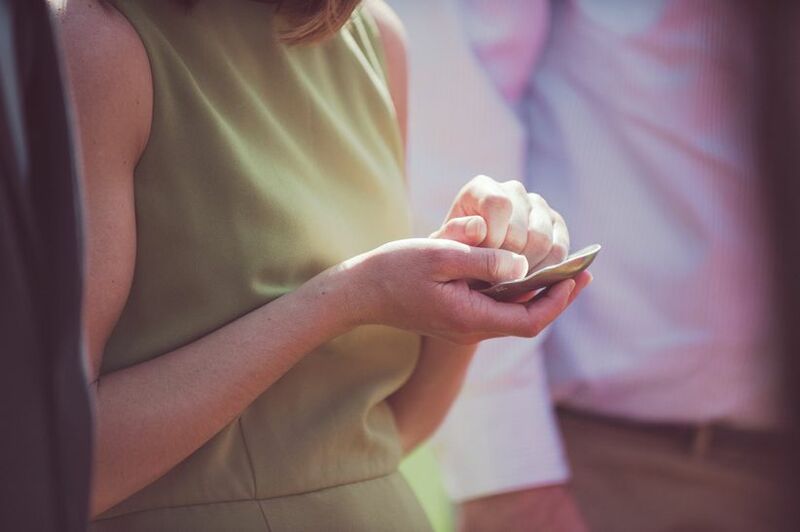 According to the superstition, you’ll have sunny skies for your wedding day! Right after you and your spouse say “I do,” dig up the bottle and enjoy. While we’re not positive that this works, we can't argue that it makes for a priceless photo op. 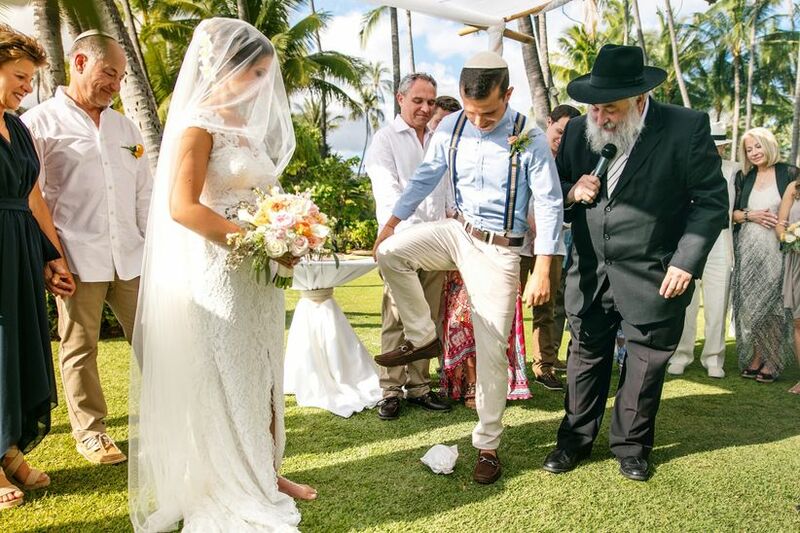 At Jewish weddings after the rabbi announces the newlyweds, the groom smashes a wrapped piece of glass with his foot. This is followed by applause and a cheer of "Mazel tov!" from the guests. Tradition says that the couple will remain married for as long as the glass is shattered. Some couples also do this in remembrance of the Jerusalem Temple's destruction.